Do you hate inputting all of your credit card and personal information when it comes time to buy something online? 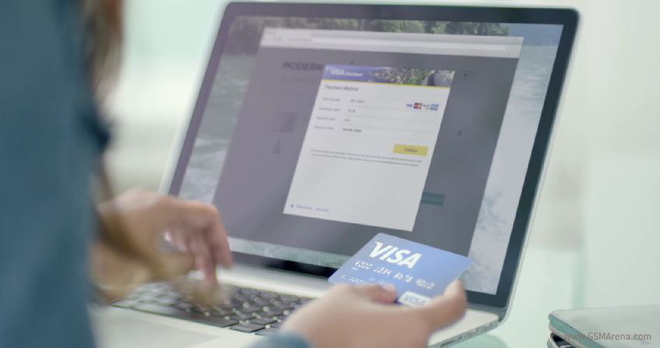 Well Visa’s latest service, Checkout, may just put an end to all of that headache. Checkout’s singular purpose is speed: getting you to complete your mobile shopping experience as quickly as possible. That’s why the service logs in your credit card information, even non-Visa cards, and let’s you access them with just a login ID and password. No need to input numbers, expiration dates, home address info and all of the usual business that comes with placing an online order with a credit card. You won’t need to launch an outside application either; meaning you’ll be able to use Checkout on online marketplaces and just log-in on the same page. Visa is already working with some major retailers, like Newegg, Pizza Hut, and Lululemon to name a few. Of course this doesn’t address the elephant in the room: Amazon’s already seamless one-click system. Since Amazon is the largest online retailer, it’s difficult to imagine that the retail giant will pick up Checkout. Not to mention that Checkout will have to go up against Google Wallet and and Masterpass. But hey, more options for consumers is almost always a good thing. Which payment system do you think will reign supreme?